Beginner Sewing Clinic ~ A Great Success! My “New Beginner Sewing Clinic” held in January from 18th to the 21st was a great success and pictured here are some of my new students! 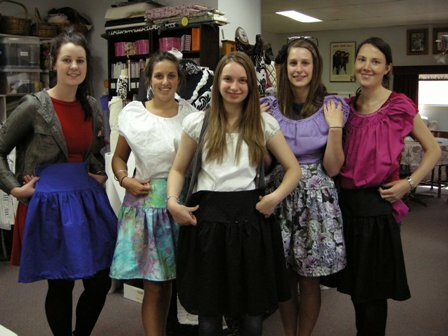 Pictured here from left: Bethany, Judith, Maree, Erin & Fran. As you can see they all made Kwik Sew Pattern 3152 which was a peasant style top and a skirt with a hip yoke, gathers and an invisible zip! Some of the students sat at a sewing machine for the very first time in their lives and were amazed at what they could learn and create in just two days. Pictured here from left: Kate, Emy, Eden, Willow & Emma. 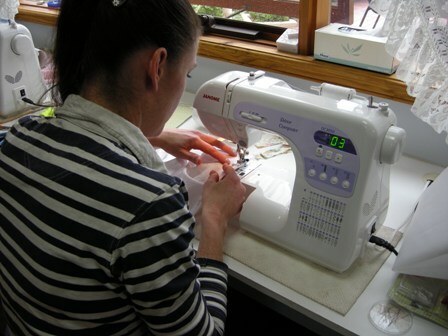 Here are a selection of my new beginner sewing students in action in my sewing studio at Rosewood Cottage! Bethany & Erin commence their beginner sewing clinic learning how to stitch buttonholes. They now feel confident with this technique! Well done girls! Fran learns how to sew a seam using a 1.5cm seam allowance using the automatic reverse stitch! Judith enjoys a treat while taking a break from learning how to sew! 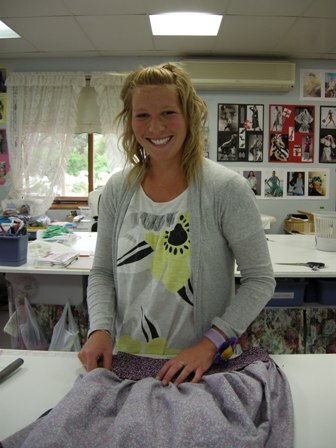 Erin is smiling with great delight as she completes the final stitches to her skirt! Bethany is very pleased with learning the skills of how to attach a gathered skirt panel to a yoke! 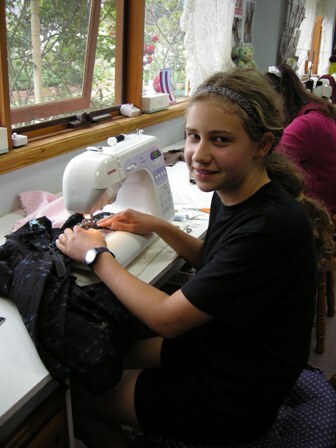 Fran is very pleased here as she sews the final touches on her skirt! Judith with a sigh of relief completes the insertion of her invisible zip into her skirt! Maree shows Hannah how to use the overlocker and measure her skirt hemline using the slide ruler. Willow measures and pins the elastic casing onto her lovely purple top. 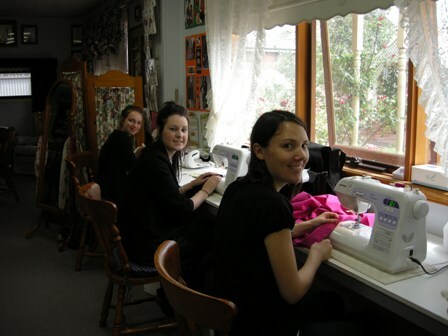 From left: Eden, Kate and Emma practice how to wind bobbins and thread a sewing machine. Emy is learning the finer skills of pressing garments during construction; an essential part of dressmaking. Believe it or not – we turned this top into a lovely maternity blouse for Emma! 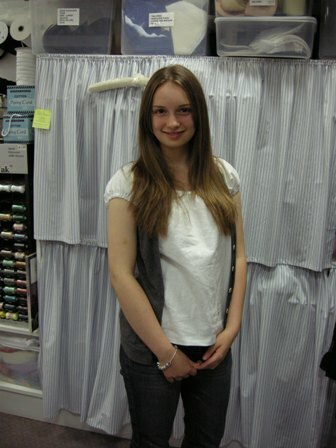 Here Eden is pictured on the second day of Maree’s Beginner Sewing Clinic with her completed top matched with a waistcoat and jeans! Eden just couldn’t wait to wear her new top! Great wardrobe planning! 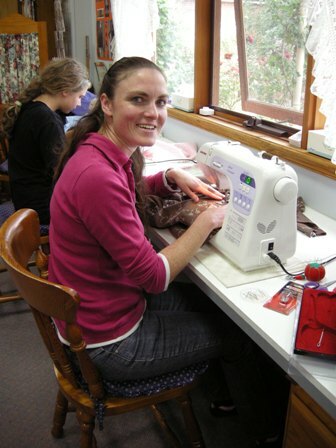 Maree’s New Beginner Sewing Clinic ~ Geelong! 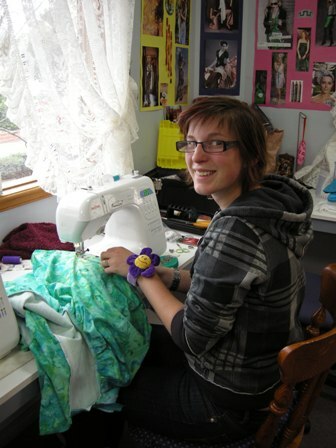 My Beginner January 2010 Sewing Clinic is filling up quickly but there are still a few spots available! 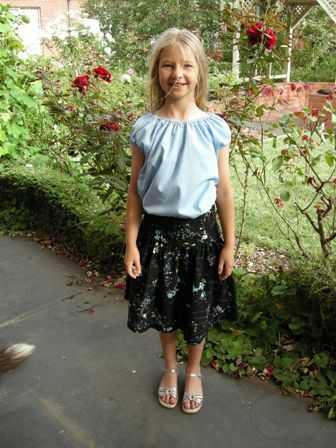 Make your very own summer skirt & top! Bonus Included: Basic Beginner Sewing Kit, Pattern, Thread, Vilene, Zip & Bobbin. Includes: Basic Beginner Sewing Kit, Morning & Afternoon Tea, x2 Teachers with a maximum of 8 students per group, sewing machines provided and excellent sewing facilities.